Just 30 miles northeast of Cincinnati, Cincinnati Premium Outlets has more than 100 designer and name-brand outlet stores for you to shop at, including your favorites like Coach, Michael Kors, Polo Ralph Lauren, Saks Fifth Avenue Off 5th and Under Armour. Conveniently located halfway between Cincinnati and Dayton, off I-75, Exit 29 in Monroe, this shopping destination offers a beautiful outdoor, single-level shopping experience that is perfect for a day trip, mini vacation or weekend getaway with your family. Enjoy exceptional brands with extraordinarily savings of 25-65% off every day for shopping that's always worth the trip. Whether you're taking a day trip to shop with the family or want to spend the weekend exploring the shopping center and surrounding attractions, you'll love stopping by Cincinnati Premium Outlets for a pleasant getaway. Enjoy an assortment of delectable dining options at one of the available restaurants or grab and go stations while shopping for an experience that is truly unlike any other. Either way, you'll love the shopping, dining and attractions readily available in southwestern Ohio. Cincinnati Premium Outlets is conveniently located halfway between Cincinnati and Dayton and offers access to incredible attractions. If you're planning on taking a day trip to the shopping destination or even staying for a few days, there are plenty of area attractions that are perfect for the entire family. Looking to stay close by? Play the slots at Miami Valley Gaming & Racing or check out the newest roller coaster at King's Island Amusement Park. Maybe sports is more your gig? 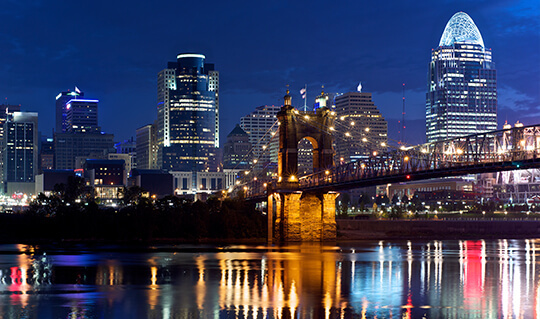 Catch a Cincinnati Reds game during the summer at Great American Ballpark or cheer on the Cincinnati Bengals at Paul Brown Stadium during the fall and winter months. From sporting events to theme parks, and much more, choosing this shopping center as your vacation destination means endless possibilities for all ages. Savor the flavor of southwestern Ohio and choose from a wide variety of local dining options for all ages just down the road from the outlet shopping center. No matter what your tastebuds are craving, you're sure to find exactly what you're looking for close by. Stop by Miami Valley Gaming & Racing for gaming and live horse racing before dining at Cin City Sea & Steak or Trifecta Eatery. You'll love the selections of craft beer that compliment delectable burgers and milkshakes. Or, take a short trip to downtown Lebanon and enjoy lunch or dinner at the historic Golden Lamb. 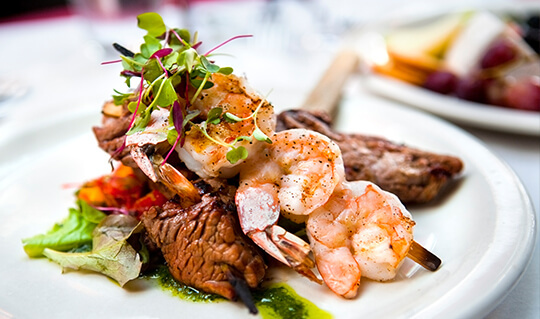 With over 200 years of hospitality and exceptional cuisine, you are sure to find something for everyone. If you're traveling during the holidays, make sure to try out one of the specialty options off the holiday menus, available seasonally. 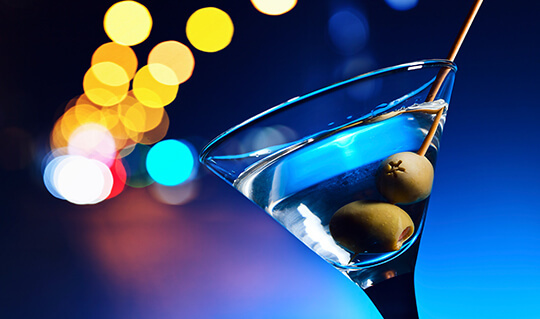 Just down the road from the shopping center, you'll find a number of nightlife options for all ages. If you're with the family, head over to Topgolf. This sprawling entertainment venue features a high-tech indoor driving range and lounge with drinks and food. Are you a gold novice? Don't worry! There are golf games available for all ages and skill levels. You'll also find Main Event featuring start-of-the-art bowling, mutli-level laser tag, more than 100 games and handcrafted food and a full bar under one room. No matter what your taste in nightlife is, there are plenty of options close to Cincinnati Premium Outlets that are perfect for a weekend getaway. If you're interested in making Cincinnati Premium Outlets a travel destination for a weekend getaway with your spouse or mini trip as a family, you can stay at a number of local bed and breakfast locations or hotels to make your stay more memorable. There are a variety of Shop & Stay Packages to choose from! Just mention your Simon property visit at any of the area hotel locations for more information. Or, check out the newly renovated Drury Inn & Suites in Middletown for a relaxing and comfortable say. 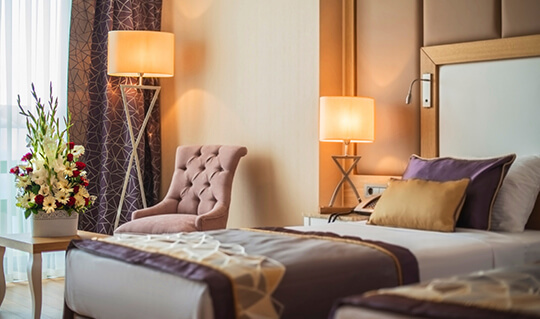 You'll love the assortment of hotels, inns, spas and bed and breakfasts that are so simple to choose from and so near to the shopping center, as well as the number of dining and nightlife options. Choose a Simon property as your next vacation destination and experience unique shopping, dining and nightlife choices!